D-Day is one of the most important days in world history. It was the day the Allied Forces landed in Normandy, France to begin the liberation of Europe from Nazi control during World War II. To walk on the same beaches as the Allied Forces and to learn more about “The Longest Day,” check out this selection of guided DDay tours in Normandy. 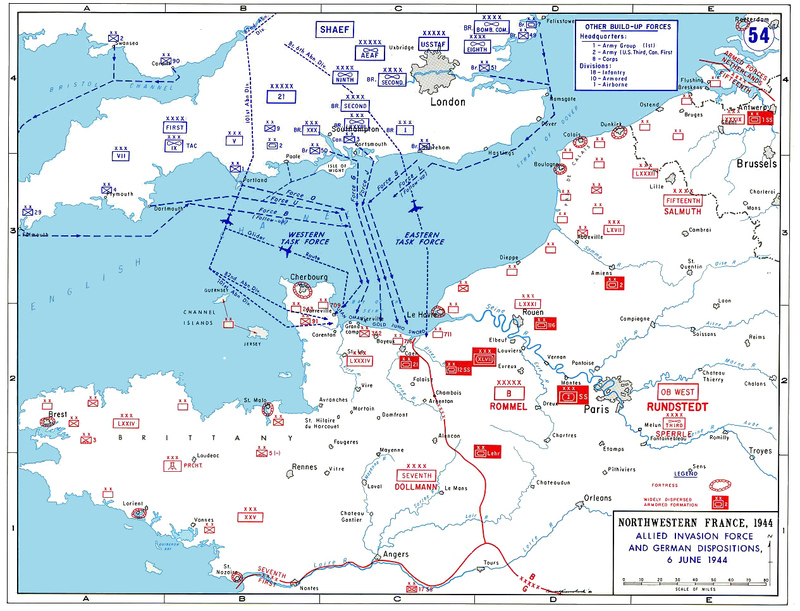 Interested in America’s participation on D-Day? This small group tour is perfect for you. You will visit Utah Beach, Omaha Beach, the American Cemetery, and everything in between! Tour groups are limited to 8 people so your professional tour guide will be able to provide you with personalized attention. The American Sites tour lasts 9 hours. The cost is 100€ per person (for groups of 4), which includes hotel pick-up/drop-off, transportation to sites via minivan, and your tour guide. The Canadian WWII Sites tour is best for those who would like to learn more about Canada’s lesser-known involvement on D-Day. On this tour, you will visit Juno Beach, the Juno Beach Centre (the only museum dedicated to Canada’s WWII involvement), and the Bény-Sur-Mer Cemetary. You will also learn about the tragedy at Ardenne Abbey. This tour lasts 9 hours and costs 70€ per person for groups of 4. You and your group will travel via air-conditioned minivan to all of Canada’s D-Day sites. This half-day tour covering the British D-Day sites will provide you with a comprehensive understanding of Great Britain’s involvement in D-Day. You will visit the Normandy Battlefields, Merville Gun Battery and Museum, Sword Beach, and the Commonwealth Military Cemetery. This tour lasts 5 hours and costs 70€ per person for groups of 4. The tour groups are small, with a maximum of 8 people per tour, so your experience will be intimate and informative. Are you interested in D-Day but want a tour that covers more general information? 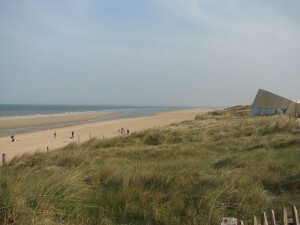 The D-Day Landing Beaches and Caen Memorial Museum Tour might be perfect for you. This tour offers groups the option of touring both the D-Day beaches and the museum in one one-day trip. 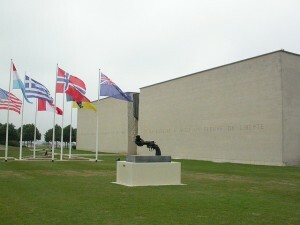 Plus, tour groups will receive a guided tour of the Caen Memorial Museum. It costs 119€ per person for groups of 4 and includes a two-course lunch at La Terrasse, a restaurant with water-front views. The tour begins with the Caen Memorial Museum and ends with a five-hour guided tour of the Normandy beaches. If you are staying in The City of Light but looking to learn even more about France’s history, this D-Day tour is perfect for you! 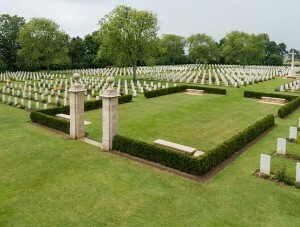 You will visit the Normandy Landing beaches, the Omaha Beach Museum, and the artificial harbors with an expert guide. Then, you will have lunch at the Caen Memorial. The tour company will provide round trip transportation and hotel pick-up/drop-off (if your Paris hotel is centrally located). The cost of an 8-person Small Group Tour is 255€ per person, including hotel pick-up/drop-off and lunch. The cost of a Standard Tour in a 50-person motorcoach is 180€ per person and 210€ per person for hotel pick-up/drop-off. Reminder: on Sunday, prices go up! From tours to taxis, prices rise on Sunday so be sure to remember this when planning your trip to Normandy and looking for DDay tours. Want to visit Normandy on your own? Your best option might be to take your D-Day tour into your own hands by renting a car, buying a Normandy Pass, finding a good map, and talking to our travel experts at ParisByM. The Normandy Pass is available at tourism centres and offers visitors some advantages such as reduced rates at certain museums and small gifts. Maps could be available online so you can begin to organize your trip immediately. Rent a car from Paris through our partner Europcar and start your journey! Most of the DDay tours mentioned, aside from the day trip from Paris, leave from Bayeux, France, a city 20 minutes south of the Normandy Landing Beaches. So, if you plan on staying in Normandy for a few days, look for accommodations in Bayeux. If you are not staying in the Normandy area during the time of your DDay tour, there is a train station located in Bayeux. To get there from Paris, you will take the train toward “Cherbourg” from the Saint-Lazare station (around 35€ each way). The trip will take about two and a half hours. The Bayeux Train Station is about 20 minutes from the city centre, so you can choose to walk the distance or take a taxi (around 5€). It is also possible to fly into the Caen Airport, then rent a car and drive to the city of Bayeux from there.